Gadkari filed his papers from Nagpur, Chavan filed his papers from Nanded and Ambedkar filed his papers from Solapur. Union minister Nitin Gadkari, Maharashtra Congress chief Ashok Chavan and Dalit leader Prakash Ambedkar were among prominent candidates who on Monday filed their nomination papers in the state for the Lok Sabha elections. “This time, I will win with a bigger margin. People have a good opinion of the work done by the Narendra Modi-led government in the last five years. Our government did more than (what was promised) in the poll manifesto,” Gadkari told reporters. “Your support and love is the biggest strength for us,” said Gadkari, who handles a number of infrastructure-related portfolios in the Modi government. Fadnavis said Gadkari will register a “historic win” in Nagpur. “He will create a record in Maharashtra,” the chief minister said, adding the “BJP-Shiv Sena combine would win 45 of the 48 Lok Sabha seats in the state. Shiv Sena’s Krupal Tumane, the sitting MP from Ramtek (SC) seat, also filed his nomination papers for the Ramtek seat. He will take on Congress veteran Sushilkumar Shinde there. The seat is held by BJP’s Sharad Bansode, who defeated Shinde in the 2014 polls by a margin of 1.49 lakh votes. Dhotre will contest against NCP’s Hidayat Patel, while Munde will take on NCP’s Bajarang Sonawane. BJP’s Nete will take on Congress candidate Dr Namdev Usendi. The three sitting MPs of the Shiv Sena from western Vidarbha — Anandrao Adsul (Amravati), Prataprao Jadhav (Buldana) and Bhavana Gawali (Yavatmal-Washim) also filed their nomination papers. Adsul will be challenged by NCPs Navneet Rana. Jadhav will take on NCPs Rajendra Shingane, while Gawali’s main opponent is Thakre (Congress). 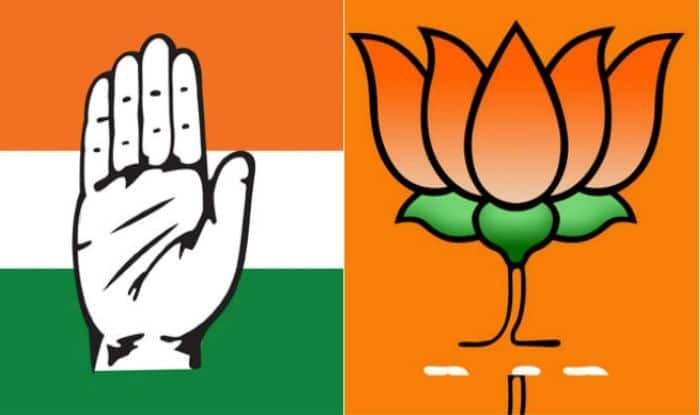 Maharashtra, which has the second highest Lok Sabha seats in the country, will vote in four phases – on April 11, 18, 23, 29.